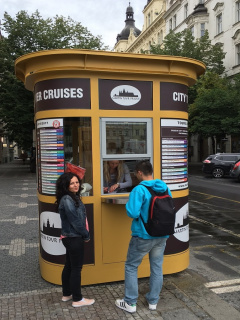 Be Fascinated By Prague's History Commentary in 26 languages! Daily departures! 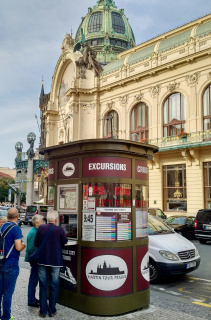 Accept our invitation for a 2-hour orientation tour of Prague. 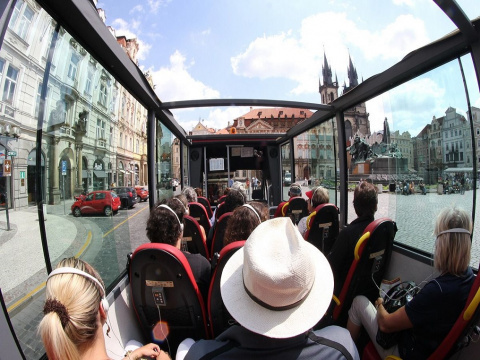 From our luxurious open panoramic bus you will admire the most famous sights of the Old and the NewTown, the Prague Castle (short break) and the Jewish Quarter Josefov. The tour ends in the city centre at the Old Town Square. Choice of commentary in 26 languages! WHAT YOU SEE: Old Town Square, Spanish Synagogue, St. Agnes Monastery, Republic Square, Municipal House, Powder Tower, Masaryk Railway Station, State Opera House, National Museum, Wenceslas Square, New Town Hall, Charles Square, Dancing House, Vltava Bridges, National Theatre, Charles Bridge, Rudolfinum Music Hall, Petrin Hill with look-out tower, Manes Bridge, Lesser Town, Pohorelec and Strahov Monastery, Czernin Palace – Ministry of foreign affairs, Loreto Prague, Prague Castle, Royal Summer House, The Straka Academy – Government of the Czech Republic, Josefov – Jewish Town, The Old-New Synagogue. 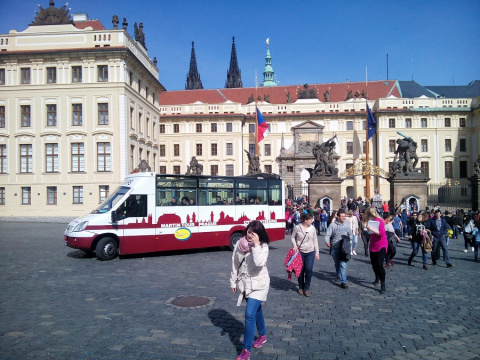 A short break for walking at the Prague Castle area (30-40 minutes). Share with your friends at . Location: The corner of Parizska Street No. 1 and Old Town Square, beside the St. Nicholas Church (Please attention! 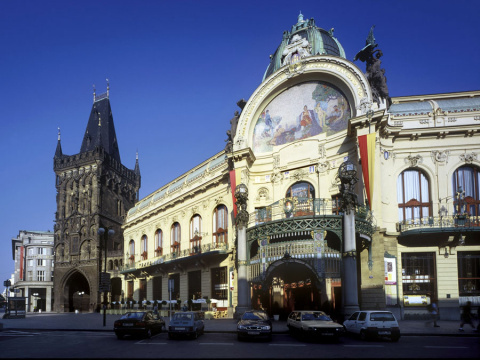 We have two St. Nicholas Churches in Prague. This one is located at the Old Town, not across the river.). The nearest metro station "Staromestska" - metro line A. You go along Kaprova Street in the direction of the Old Town Square. Location: Republic Square No. 3, opposite to the Municipal Palace, In front of the Hybernia Palace. From Republic Square the direction Na Prikope Street. 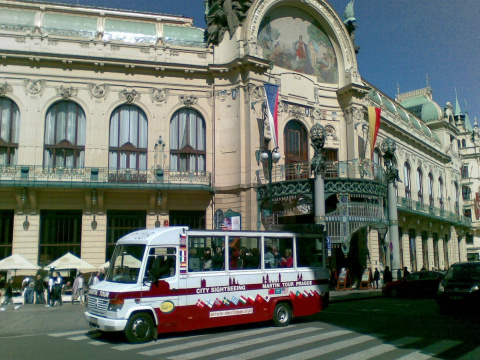 The nearest metro station "Namesti Republiky" - metro line B.